The Gemini New Moon on Wednesday marks a clear turning point this week because both Mercury and Venus change signs midweek. Mercury leaves its happy place, Gemini, for Cancer and Venus happily leaves fiery Aries for calm, sensuous Taurus. How we feel about this shift will probably depend on how whether we have more fire and air natally or earth and water. It is a paradox the shift in the atmosphere occurs on a Gemini New Moon with its promise of a new outlook on life. Don’t worry though because Gemini’s mental agility has a good chance of coming up with a way to make these changes productive. Emotional intelligence gains in importance when Mercury is in watery Cancer. Mercury in the water signs usually excels at non-verbal communications and Cancer can be quite stingy with words. Almost as soon as it enters Cancer on Thursday, Mercury will begin to slow down as it prepares to station retrograde on June 7 at 3° Cancer. Delightful news, I’m sure. Now Venus moving into one of her home signs, Taurus, is good news! Aggressive Aries is not the best fit for Venus who is first and foremost a lover, not a fighter. Celebrate with simple pleasures like watching the sunset while enjoying a glass of fine wine. Schedule a massage or a weekend at your favorite bed and breakfast in the countryside. This Venus is very, very good at relaxation, so please indulge! 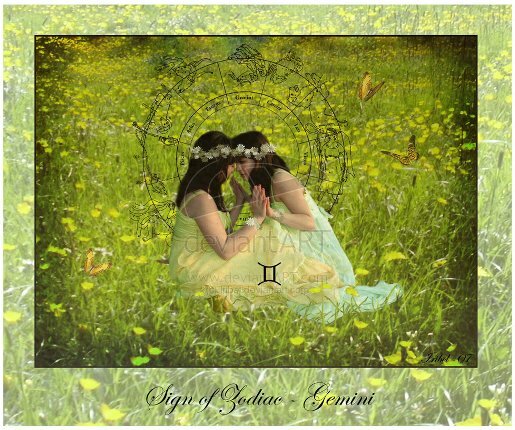 One reason not to count Gemini’s influence out is a trine between the Gemini Sun and Mars in Libra on the weekend. This is an excellent aspect for gracefully asserting yourself and putting your opinions out there with precision and style. Both Gemini and Libra love to share information and lots of lucky people will be on the receiving end of these generous folk. If you are attending graduation ceremonies, you might be pleasantly surprised at some of the speeches. All in all we have a very decent week to look forward to. There will be a little something for everyone from lively conversations to quiet moments alone. The waning trine between Jupiter in Cancer and Saturn in Scorpio is good for taking care of business matters and if we are vigilant, the slight distortion in reality midweek when the Gemini Sun square Neptune in Pisces won’t be a problem. While the action may not yet be fast enough to satisfy you, Aries, you should be feeling more comfortable with the pace this week. What is working for you is being able to think of a number of alternative ways to achieve your goals. Discussions with your partner on the weekend may be fruitful. Life in Taurus land is about to get sweeter and that ought to suit you down to the ground, Taurus. Your ability to come up with the right words accompanied by the perfect romantic gesture may do very good things for your love life. Good time to come to a better understanding with your significant other. Please don’t pout, Gemini. I know you’ve been enjoying winning the battle of wits with all your opponents recently and hate to see your mental edge diminished but that’s life! Brush up on your non-verbal communications skills and you’ll do fine. Next weekend looks good for going out with your sweetie. The atmosphere over the past week may have been a little too hot and dry for your tastes, Cancer, so I’m happy to report conditions look far more favorable for you starting midweek. Attending get-togethers with like-minded friends and associates is starting to look a lot more like fun again. The first part of this week is much more to your taste, Leo. You thrive on social interaction with a generous dose of excitement and lively debate. However, you may find time spent pursuing your career can have its rewards too. There is still time for networking with your peers on the weekend and they will be interested in what you have to share. Just as you were beginning to get back into the swing of things at work, Virgo, you may be distracted by pleasant diversions midweek. You should be able to adjust fairly quickly and by the weekend you might even have a breakthrough that has the potential to improve your income. Others may not realize how angry you have been in recent weeks, Libra, though that may be beginning to change. Conversations with your partner the first part of the week can help you understand how to improve the situation. Asserting yourself effectively is the goal and the weekend may bring a breakthrough in that regard. You are another who should find the change in atmosphere midweek far more to your liking, Scorpio. Dealing with scheduling changes and having to manage other people’s money problems recently has not been easy for you. Taking a philosophical approach through all this continues to be your key to sanity. The high flying energy of the past week has been wonderful for you, Sagittarius, and the upcoming shift could bring you back into reality with a thud. Your significant other does continue to be a source of entertainment and if they suggest joining friends at a party over the weekend, you might as well say yes. Enjoy! This week’s shifts and changes should bring some relief to you, Capricorn, especially if you have been wondering how to turn the volume down both on the job and at home. A few less disruptions would be good too. Schedule some quality time relaxing with your partner. That ought to help. The bright, lively mood of the past week has been your cup of tea, Aquarius. You enjoy theorizing with close friends and the occasional frenemy because you like challenging your world view now and again. Looks like a fun weekend for you, so please plan accordingly. Your family may be getting to you now, Pisces. Are their voices beginning to sound a little too penetrating and are too great a distraction? You are another who will probably enjoy the softening in tone coming midweek, allowing your creative side to blossom once more.